The great chain of investments made by Azerbaijan’s state oil company SOCAR in Turkey is proof of trust in Turkish economy, according to SOCAR President Rovnag Abdullayev. When SOCAR's $18 billion investments in Turkey are made in multiple projects, Turkey's status will grow as a regional and global provider of energy security, Abdullayev told the Anadolu Agency. SOCAR's president stated that when the company's investments in Turkey are completed, they will contribute much to help Turkey reduce energy imports and its current deficit. It is expected that the STAR refinery will be operational by 2018, he added. Further, Abdullayev said that the work on the Trans Anatolian Natural Gas Project (TANAP), in which SOCAR has a majority share, is ongoing while the company is still in negotiations with international banks for external financing for the project. "Although it is not definite yet, we predict that around $4 billion in support will be created for TANAP," he added. Abdullayev also said that 8 percent of the Southern Gas Corridor Company's 58 percent share in the TANAP project will be transferred to SOCAR Turkey. "We started the necessary work for our shareholders, and we expect that this transfer will be formalized soon," he said. 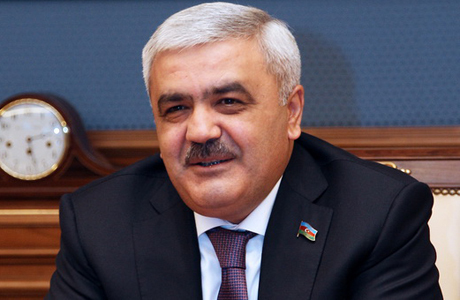 SOCAR, as a significant player of a $45 billion gas value chain including the Southern Gas Corridor, aims to become a new and reliable natural gas supplier for Europe, Abdullayev added. "Our project [TANAP] will firstly carry 16 billion cubic meters of natural gas in the beginning. Then this amount can increase to 31 billion cubic meters depending on our production capacity," he said. He added that gas deliveries to Turkey will start in mid-2018 and at the beginning of 2020 for Europe. "With these investments, Azerbaijan will be Turkey's second-biggest and one of Europe's important gas suppliers in the mid to long term. This will benefit both producers, carriers and consumers," said Abdullayev. TANAP project envisages transportation of gas from Azerbaijan’s Shah Deniz field to the western borders of Turkey. The length of TANAP is 1,800 kilometers with the initial capacity of 16 billion cubic meters. Around six billion cubic meters of this gas will be delivered to Turkey and the remaining volume will be supplied to Europe. The gas will be delivered to Turkey in 2018, and after completion of the Trans-Adriatic Pipeline’s construction, the gas will be delivered to Europe in early 2020. TANAP shareholders are Azerbaijan’s state oil company SOCAR (58 percent), BOTAS (30 percent) and BP (12 percent).